Seriously? Who even falls for this trap anymore? Besides, there's not enough space in that basket to capture the catgirl AND the meat. 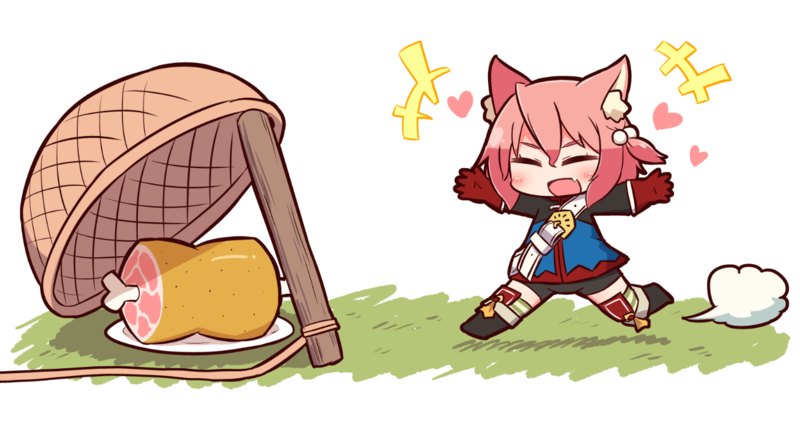 there's not enough space in that basket to capture the catgirl AND the meat. The meat is usually gone once the target reaches the trap. Never underestimate the power of weaponized catgirls.